Heat the solid oils until they are almost melted. Take the pot off the heat source. Swirl the oil until they melt the rest of the way. Add in the olive oil. Set aside to cool down to 100 degrees. Mix the lye and water. Mix the lye into the water (Important note for controlling how fast the reaction happens). It will heat up so I like to use a tall container. A plastic pitcher works great even though there isn’t a whole lot of liquid in the bottom. I also like to put the pitcher in a basin of ice water while I am mixing the lye into the water. This get the mixture to cool down to 100 degrees faster. Because I’m not a patient person myself, to speed up the cooling of the lye/water mixture you can slip a few ice cubes down the side of the pitcher. When everything is 100 degrees mix the lye/water into the oils, give it a quick stir with a wooden or plastic long handled spoon then add in the raw goat milk. Mix with your stick blender until trace. Your soap mixture should look like thick vanilla pudding. At this point add in a few drops of what ever flavor essential oil you wish and what ever extra pieces of stuff. Give it another swirl or two. Now you pour your mixture into soap molds or card board soup trays (even ramine boxes work) lined with wax paper. Cover with towels and let sit overnight. After about 24 hours dump out your soap, cut (here is a funny crinkle cut knife article I wrote), then let stand on end for several weeks to dry out. Enjoy! When using a stick blender to get to the point of trace it is a good idea to start and stop the blender, not run it continuously. I just use my stick blender as a spoon and turn it on intermittently as I’m waiting for the soap to trace. If you happen to pour your soap into the mold before it has really traced and it separates you can always pour it back into your pot do this. Heat it up slowly and blend it some more until it reaches a real trace. The other problem is going past the trace mark right into seized. Again you can recover from this. Grate the soap up then reheat (slowly) and add more goat’s milk (a little at a time) until it is no longer seized. Then just put it in the mold and let it set up. Your Goat Milk Soap Recipe Has Seized What can you do? You can prevent it by paying attention to the temperature and water amount. Soap cool and don’t discount your water. When you are using a new fragrance or essential oil and don’t know how it will effect your soap, make a one pound test batch first. If it is happening, don’t panic! With a light seize, where just where you are stick blending on the bottom of the pot is seizing, stop stick blending and stir to trace by hand. With a heavy seize that you can’t save, you’ve got three options! Hot Process it – Dump it into a crockpot and hot process it. If it goes beyond the point of being able to stir it smooth and pour into a mold, you can hot process it. Simply put it into a crockpot and cook it until the whole mass has gelled (turned translucent) and then glop it into a mold. Rebatch it – If you managed to get it into a mold but it is UGLY, you can rebatch it. Here are rebatching instructions. If you do it the day after, you usually won’t have to add additional water to it. If you rebatch it weeks later, you can add a bit of water to the shreds before cooking. Of course if you want to use goat milk soap much faster, you can always order it at HartNana’s store. I would love to know how much soap this makes in pounds. Thanks! It makes about 3.5 pounds give or take a few ounces. Thank you so much! I have made this several times and I really like the recipe! It is so forgiving and easy..I really love it too! I’ve never made goats milk soap before. It looks easy. Would it be ok if I only put 5oz of lye instead of 6? I am very new to making soap so I would also like to know if I can brake it down and make half the recipe instead of the full recipe? Bertha, You can cut the recipe in half, it will work great. You do need to use the whole 6 oz of lye not 5 as you will need that much lye to react with all of the oils in the recipe. Making soap is chemistry…you have so much of each ingredient and all of the ingredients are measured out so that when the reaction is complete you have a specific substance at the end. Thanks Nana :-)I am going to cut it in half. I have one last question? 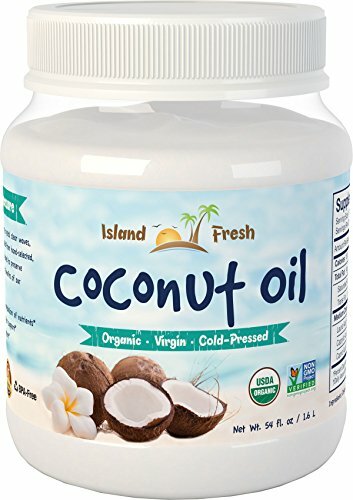 Can I replace some of the coconut oil with shea butter? You can change the recipe, but I am not sure what the measurements would be..you can go here http://www.fromnaturewithlove.com/resources/creator.asp plug in the percentages of the other ingredients and your shea butter and they will tell you how much of each to include. 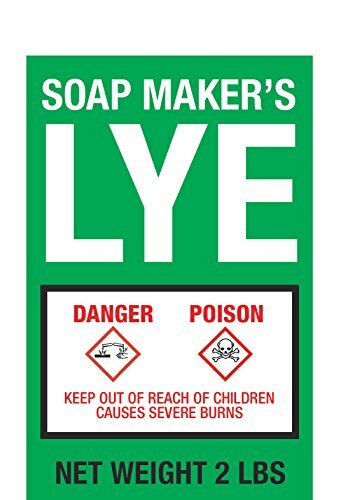 It is not a good idea to just start mixing and matching as you can end up not using up all of the lye in the process and have an end product that is not balanced enough to use without causing burns. Wow!! thanks Nana. I really appreciate all your help. The site you gave me was very helpful. I’m assuming these amounts are all in weight, not fluid measurement? 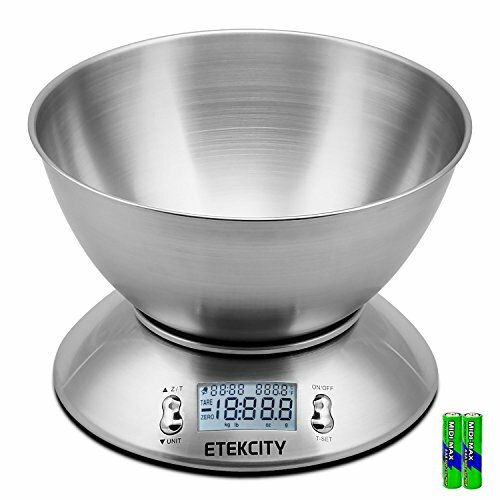 The milk, water and essential oils are all measured by weight? I see a lot of recipes that call for 1-2 oz of EO. I want to make sure I’m not putting a 1 oz bottle of essential oil into the batch if the weight is something less… does that make sense? I don’t want to kill the soap with an overload of EO. What of you don’t have a stick blended?? You can stir with a wooden or plastic spoon, or even use a hand blender (we used to call them beaters), however it will take a lonnnngggg time to get it to trace. Read my latest post for my experience without a stick blender LOL. Anyway you can get them for like, $15 at wally world, or you could order one from Amazon through the link in the upper left hand side and have it delivered to your door. It does make a huge difference. So I made soap last night and today it wont come out of the molds. They are still a little soft and idk what. I did wrong. Are they ok? Will they harden? Just leave them alone in the mold for a while longer (maybe 12 -24 hours). I’m not sure what type of mold you chose. I like to use cardboard boxes – like the trays that ramin noodle soup comes in, or campbells soup (not that I particularly like to eat that stuff), I then line the trays with wax paper. When you go to dump the soap out to cut it is easier. You then just need to peel the wax paper off. I am off to write an article about molds that I was thinking about writing, but see that I really need to address this issue. I really like this recipe also, however, my last few batches are quite oily on the outside of the bars. Will that absorb as it cure or have I messed up somehow? Elizabeth, oily might be a result of one of two things, the first is that the batch has really traced. Over mixing seems to be better than under mixing. The second thing that might be causing the problem is any essential oil you are mixing in might not be fully incorporating, or you might be putting in a dash too much, and also if you are adding the essential oil after the initial trace, you need to mix like crazy some more to make sure that what ever oil you have added is causing the mixture to at least start to thicken. Hope this helps. 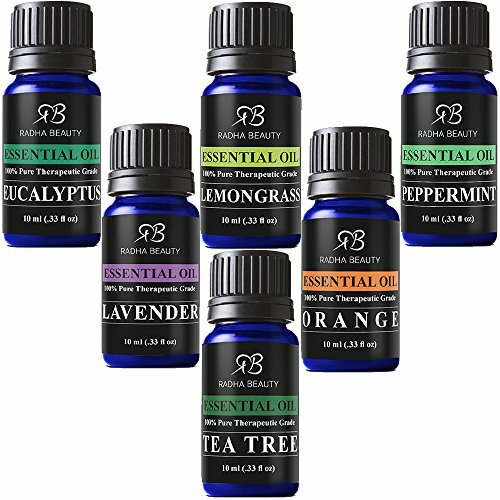 When is the best time to put in the essential oils and how much would you use? Are there certain essential oils that you shouldn’t use? I put in essential oils just after the trace, mix um up real good with the stick blender again. I use about 1 -2 oz of oils. Some EO will make you’re soap firm up more quickly than others and adding more of an EO can cause your soap to “seize”. Because this recipe has so much water in it (and milk) the chances of seizing are relatively low. I will do a video and blog post about this tomorrow topic and link it here. I want to make sure I am adding correctly. When I make the above goats milk recipe, I would add 1-2 oz of EO. Is this correct? And is the measurement on the EO in weight or fluid oz? I used another recipe for a oatmeal and honey goats milk and when I put it in the water bath it started to seize on me. Also, I didn’t use fresh goats milk, I used the canned evaporated kind and it turned out a brown color. Is this normal? I am trying yours next after I get frew goats milk. Danielle, Not too sure when you put “it” in the water bath, but I have had lots of experiences with goats milk turning “brown”. The water/ice bath happens as you are adding the lye to the water or milk (if you are really brave). I normally make oatmeal/honey this way. Make the normal “soap” recipe listed here. I mix the water and lye together and wait for the temp to go down to the 100 area along with the oils. Then mix the oils and lye/water, then mix in my really cold/slightly slushy milk into the mixture. After I get a trace I add the oatmeal (that has been ground up with a mixer or coffee ginder) and the honey, then mix to trace again. The reason you are getting “brown” is because the milk solids are burning. I’ve had lots of experience with that LOL, which is the reason I mix the lye and water together first. I’m not even real sure it has to to with having fresh goats milk or canned, am leaning toward the “it doesn’t matter side”. Should I scrap the brown one then? It turned brown on me right away. Also the recipe I used didnt call for water, just the goats milk, lye, lard, oatmeal and honey. Can I add just coffee grounds or brewed coffee? Would adding coffee affect the honey/oatmeal scent/texture. Also, do I let it set up the entire 4-6weeks or the 24-48 hrs. Sorry for the questions. Newby at this and other than having difficulties finding product in a small town I am truely enjoying it. I have added grounds and coffee, it makes the bar pretty dark. It is supposed to be excellent for gardeners. Personally, I love it. If you have let the original soap cure for 4-6 weeks first then you can use the rebatched soap after about 24-48 hours…Love the questions so don’t apologize. When I first started making soap, I had one eye on the computer the other on the pot. Look! Years later and your kind reply is helping me! I had a batch seize quickly and then the fragrance was too week anyway, so I’m thinking I’d like to rebatch it! It will be my first try with coffee and grounds! Thanks!!! Whats your recommendation if I cannot get fresh goats milk? I’ve seen some in the cold dairy aisle. But I think it said low fat. It doesn’t make much difference I don’t believe to use frozen, canned, powdered (and reconstituted). The big deal about fresh goats milk has to do with drinking it. Another question. I have a rosemary plant and want to add some too my next batch. Can I use fresh herbs or do they need to be dry? You can use fresh, you can also make tea out of the herbs and use it in place of water. They won’t keep their color but the added bulk makes a great exfoliate. The smaller the particles the better though. I went to bed a little frustrated last night. I decided I was going to peek at my soaps. When I lifted the towel the top layer came off and stuck to the towel. It looked so awful. I keep wondering if I did something wrong or becvuase I used the disposable loaf pans filling them to the brim casued this. Is there a way I could share my picture with you? Part of your problem is probably the disposable loaf pan – you need to use card board or plastic. I use boxes canned food comes in, but any card board box that is not much more than 20″x18″ (or smaller) will work. Line it with wax paper then pour your soap into that. The other alternative is to use plastic tupperware type containers, or soap molds. You can send me pictures to my email address by clicking on my “name” above. If you don’t mind I will make a blog post about it and post them on line? I clicked on your name and it took me to a gavatar account but no where I could sned you an e-mail. I took out my soap from the loaf pans today and it ate through the bottom of the pans. Lessoned learned-foil loaf pans not a good idea. Hubby is going to make a soap mold for me. Excited. Also my wax paper stuck to my soap. What fun that was. I trimmed down the top portion of the loaf where it looked horrid. Can’t wait to try my next one. Hi Danielle, as you have found out, aluminum containers shouldn’t be used for soap making. 🙂 Stainless steel would be fine. What about a wooden soap mold? Wooden molds are great. You’ll want to line them with wax paper (wax side in) so the soap doesn’t stick when you remove it. Thanks for helping out here Denise! Is it ok to set the cut soaps on parchment paper during curing time? Yes, just try to stand them up on end. Does goat milk soap go through a gel phase? I am assuming it does not since that would get the soap too hot and burn the milk. Is that correct? It does (sort of) and the milk can get burned. Sometimes if you add the milk and lye together directly your milk will burn and you end up with an orange -ish/brownish colored soap. The reason I mix the lye and water together and then add the milk after I mix the lye/water solution with the fats is to cut down on the over heating of the milk so much. I more consistently end up with a cream colored bar this way. If you got the cold process to turn out for you Karen, you should have no problems with the soap recipe I’ve got here – it is super easy and super forgiving. I just made my first batch…I doubled the recipe and poured it into a wooden box mold I have. I let it sit for almost 48 hours before cutting into it. When I did, there was a layr of jelly-like oils near the bottom. It was very soft and hard to work with. It also is giving off an amonia type smell. Help!! Fear Not dear friend 😉 All you need to do is scrape it all back into your pot heat it up slowly, they shave the parts that are “solid” back into the pot with a cheese grater (use gloves for this operation). When you wash the cheese grater make sure to put it through the dishwasher and dip it into vinegar to make sure that you get all of the lye “use up”. The vinegar step might be over kill, but I would do it anyway, that’s just me. Once everything melts, stir it up until it traces well then re mold. I think you didn’t quit get a good trace before pouring originally. I have experienced the same thing at times in the past. This recipe might not do well being doubled as I had already doubled it before posting. I usually just make two batches. Thinking back I’m pretty sure the time I had problems was the time I doubled it again too. What if I was not able to salvage all of the original recipe? It seemed to have eaten up the wax paper that I lined the mold with and there was a bunch I could not get the wax paper out of. By a bunch I would say about a cup. This is going to really off set the recipe right? I hate to have to scrap this whole endeavor and start over! Mary, Just salvage what you can and add either a bit of water or more goats milk back into the mixture to get it to settle down. Though I am not an expert, I would say that your soap may have cooled too fast (that is just my best guess). If you are worried about the ph level of the finished product, follow the directions below for re batching, then once they have set for a couple weeks use a ph strip to test the level, you want it somewhere in the 6-8 range. If your product end up too base, you can always re batch again and add more oil. From my own experience, just re batching once tends to do the trick. You do need to be patient, it can take awhile to melt the soap back down and you don’t want to burn it. Some people use a crock pot left on low over night to do this. can you use all olive oil instead of coconut oil? I have a milking goat and want to use the milk and try making it into soap. You can use many different combinations of oils to make soap, but I wouldn’t just arbitrarily not use a type of oil in a recipe that calls for certain oils – if that makes sense? Soap Calculator This is a good place to go figure out how much of what ever types of oils you want to combine. It will also let you know how much lye to put in. Substitute some or all of the water with goats milk, or tea made from herbs or coffee. Hope this helps. Hopefully this will line up in the comments correctly. I would use 8 oz of water to mix in the lye and subtract that from the amount of water you are supposed to add and use that figure for the goats milk. No guarantees, I’ve never made this, just ran your ingredients in the calculator and this is what it came up to be. If you make it, come back and tell us about it! Thank you so much! I am going to try it tomorrow! Another question for you…..Should I let it Gel or not? Have you ever made coconut milk soap??? Once the soap has reached trace, can I add in vanilla extract to scent it? I have heard that extracts don’t work. Kate, sorry it took me so long to get back to you, I think I addressed this in your last comment? You can always try stuff and see how they work out, though I’d only make a small batch to experiment with. If it gets messed up you can always rebatch it with a good batch of soap. I hate to throw stuff away. I was wondering if you have tried the Beekman 1802 goat milk soap. I love it!!! it is costly to order as I’m in Canada. I am a fairly experienced soap maker and can get fresh goat’s milk from a farm near where we live. I am looking for a recipe that makes a very light almost transparent goat soap like the Beekman soap. They use olive, coconut and soy. Any suggestions? This recipe is a modified version of Beekman’s recipe! I don’t use soy in mine. 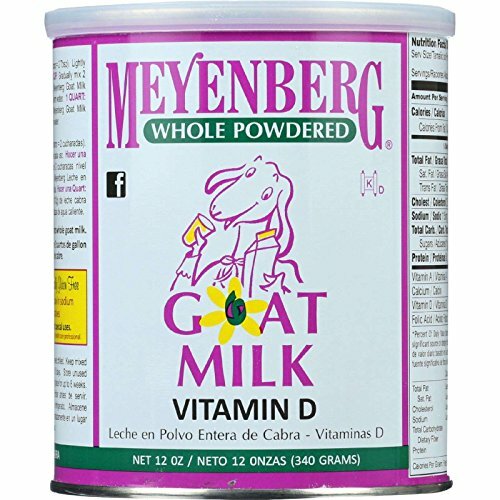 If you mix the goats milk in after the lye and oils are mixed and they are both around 100 degrees or less, then the milk will not turn brown. I created your recipes and loved it! Watching your tutorial was so helpful. Thank you for sharing all of your knowledge. I was able to order almost all of the ingredients off of http://www.wholesalesuppliesplus.com , which made the whole experience easy and fun! Thank you again for sharing! glad you were able to find all of the supplies there LOL and thanks for sharing, hope you get some traffic. Can you substitute other oils (vitamin e, grapeseed, avacado oil) or a mixture of if you use 9 ounces? I made a batch of this soap today. I can’t wait to try it! How long does this soap need to cure before I can use it? I just saw in another comment that it takes 4-6 weeks. Do you have a way to tell when it’s ready to use? I made this recipe and like it except I didn’t put enough fragrance in it. Can it be remelted and if I do, does it take a really long time to set before I take it out of the mold? Also, it’s already cured, so it won’t need to set out all over again, right? Yes you can remelt it and add more fragrance (and/or other ingredients) then re set and it should be good to go in a few days, once it dries back out. I use a cheese grater so that it melts faster and add a bit of lotion or goats milk to the mix to get it to melt faster. Because as we all know, I’m not very patient. What could I add to make it a little more moisturizing? I make goat’s milk lotion and will sometime rebatch my soap and add that in. Gina, I have never personally added those to my recipes but that doesn’t mean you can’t give it a try! Let us know how it turns out okay? Hmm, did you add the other ingredients you mentioned above? That might be what caused the smell. After the soap has a chance to cure for a few weeks be sure to do a ph test on it. If it is too bad and the smell lingers, I would grate it up with a cheese grater, then remelt it on low, add a bit more goats milk to thin it a bit (or you can add water) and then add some more coconut oil or even some lotion and a tad bit of essential oil to change the scent. You can also add a variety of other items to your soap when you re batch it like this. I’ve found different oils react differently with the recipe. I’ve found Sandlewood seems to be more likely to cause the soap to cease. Pretty much you might have to do trial and error to find what works good for you. Hi, I love this recipe! I try other recipes but always end up coming back to this one. Thank you so much for posting it. I am wondering about the curing time. How long do you let it cure? I have been waiting 6 weeks but notice you wrote 4-6 weeks? How do you know when it is fully cured? Thank you! So glad it works for you Joni! Usually at about the 4 week mark it should be cured enough to use – if you want to test it with a ph strip to be sure you could. I used to test it often, before I got comfortable with the consistency of this recipe. No worries Gina. That sounds like something I’d do. My solution would be to pour it all back in a pot, heat it up slowly so it all melts again and add the milk, make sure you mix it in well, re mold and let it cure. It will be totally fine. For your easy soap recipe, do you cover with towel after pouring in mold for that first 24 hours? Or does this make it heat up too much and turn orange? First time making soap….Did I do something wrong? Trying to take off wax paper from soap after the 24 hours…..Burning my hands….I assume from the lye…. You always need to wear rubber gloves when dealing with soap before it has cured. That said, run vinegar over your hands it is the base anti dote to help you from having burns. And then rinse well. You can check your soap once it has cured with a pH strip you can find at wally world or here. The ph of cured soap should be between 7-10 for safe use. If the pH is still too high just shave it down with a cheese grater (wear gloves) and re batch adding more oil. Though if you were good with your measurements in a few weeks your soap will be fine.